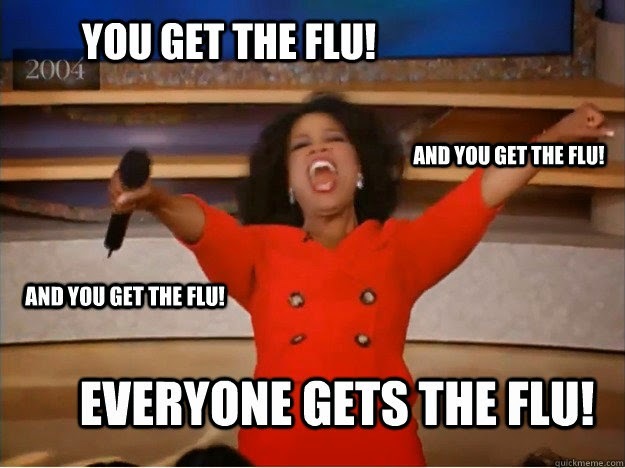 Seriously, our house has been rocked by the stomach virus that came out of nowhere. Seriously, my kids and I only went to the grocery store and bread co in the past 2 weeks and magically we picked up this terrible nasty little virus somewhere. It hit Tristan on Friday like I already said and cancelled his birthday party. Then I got sick, then Harper, then Zak, and then Taylor. It's a really fun time at my house right now. Anybody want me to make some plague cookies for them? They make great Christmas gifts for the special people in your life. I don't miss that part of the job at all. Here's to hoping that we all get over this plague really soon!